When the heart beats faster, flutters or seems to skip beats it is called heart palpitations. Usually they are only scary and need not be serious or do not require any treatment. 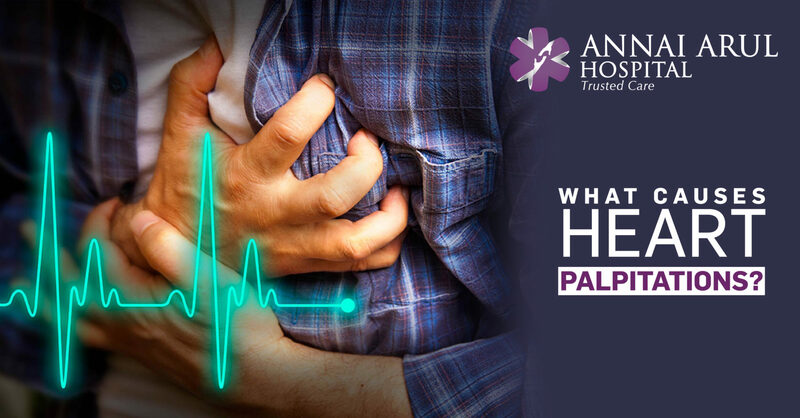 It is best to know what causes these heart palpitations since it will help in knowing when not to panic and when to seek medical help. When you feel very intense emotions then certain hormones are released that in turn speed up the heartbeat. This is how your body gets ready to face a challenge, danger or threat. Panic attacks are intense bouts of fear that last a few minutes, with symptoms like racing heartbeat, sweating, chills, trouble breathing and chest pain. A panic attack can resemble a heart attack. A short run or intense treadmill exercise in the indoors are all good for your heart but it also makes your heart beat faster. The heart actually pumps more blood to power the muscles throughout the workout. If the heart flutters or pounds, it could be because you are starting the workout after a long gap. It could also be due to arrhythmia and this will require medical consultation before your proceed. Caffeine contains stimulants that raise the heart rate, whether it comes from the coffee you drink, from your energy drink, from tea, chocolate or your soft drink. It is not known whether this happens only in people with heart rhythm problems or just in anybody who consumes caffeine. There are certain addictive chemicals in cigarettes and all tobacco products which raises the blood pressure and subsequently the heart rate. The best way to save your heart is to quit smoking though palpitations can also be a symptom of nicotine withdrawal, but stops within 3 to 4 weeks. Palpitations are often experienced by pregnant women, those near menopause or women in menopause. This is due to the changes in hormone levels. The raise in heart beat is often temporary and nothing to worry. Women who are anaemic during pregnancy are also prone to get palpitations. When the temperature is above 104 it definitely affects the heart rate and shows signs of palpitation. When there is high fever the body uses energy at a faster rate and so your heart beats faster to compensate this and causes palpitation. Other causes for palpitation include certain medications, overactive thyroid, low blood sugar, alcohol and drugs.